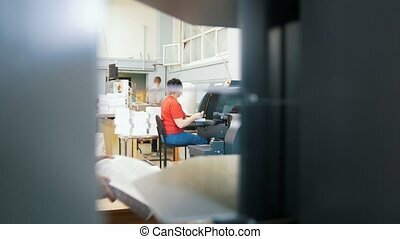 Female works at print house. 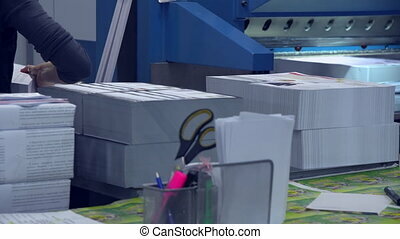 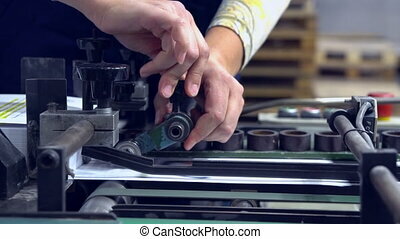 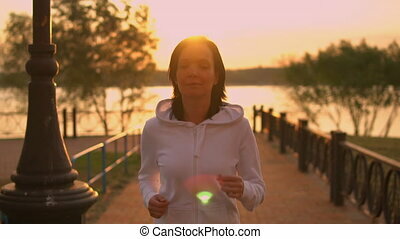 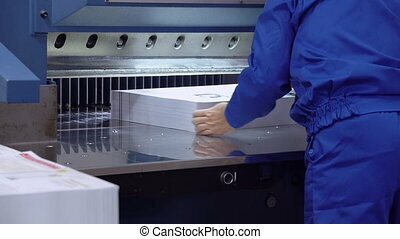 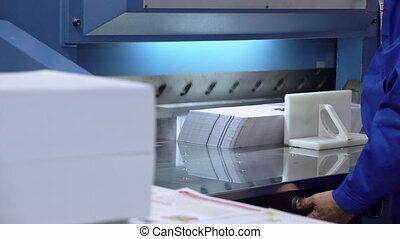 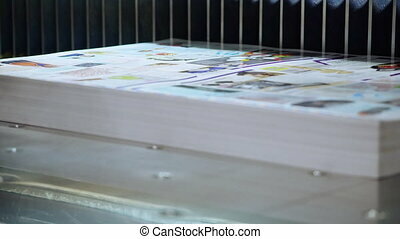 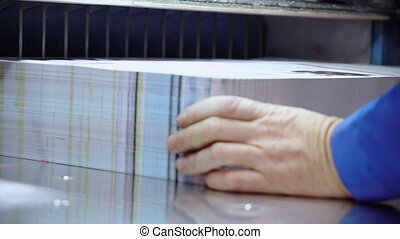 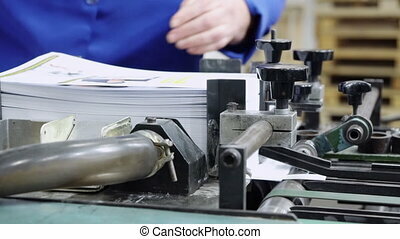 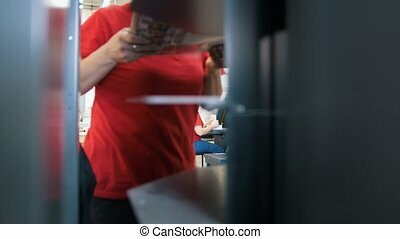 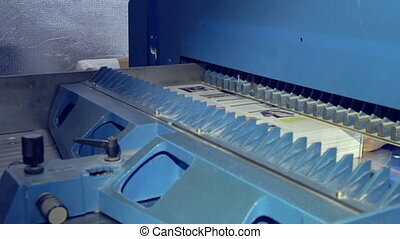 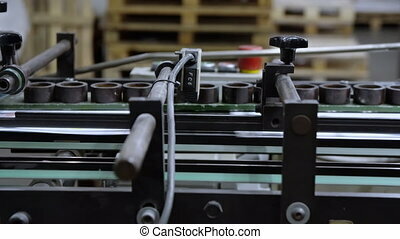 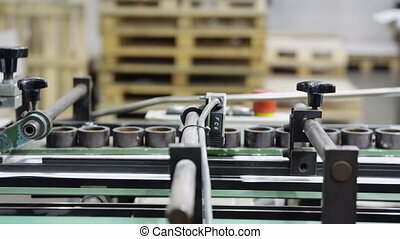 Unrecognizable woman working at print factory packs printed products for shipment. 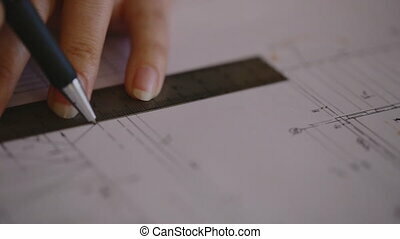 female architect is checked against the electronic version of the drawing and making a change in the horizontal bemazhnuyu version with a ruler and pencil professional. 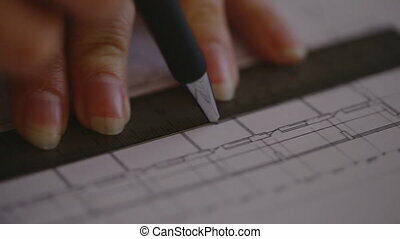 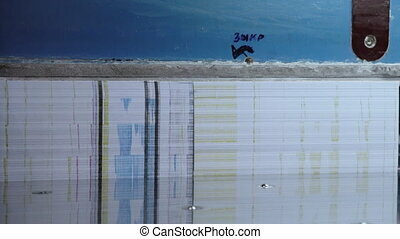 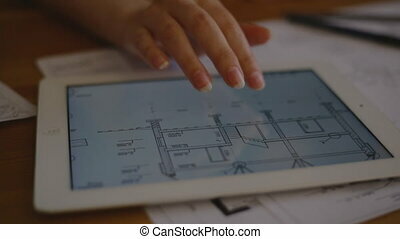 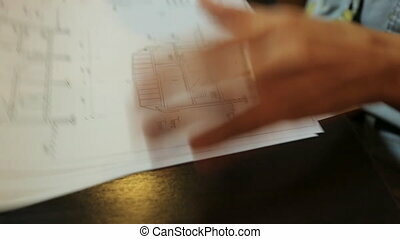 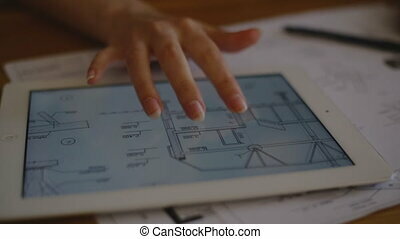 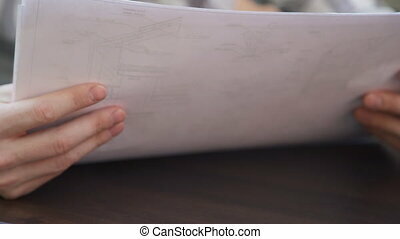 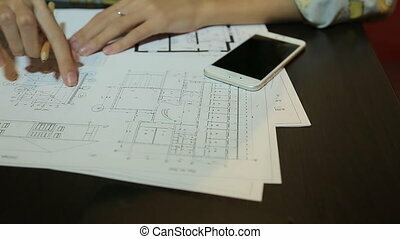 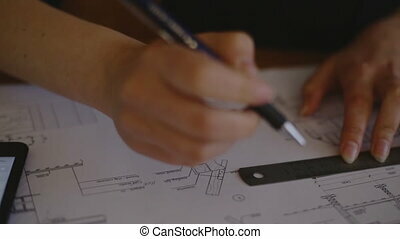 female architect is checked against the electronic version of the drawing and making a change in the vertical bemazhnuyu version with a ruler and pencil professional. 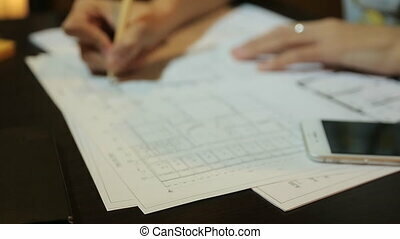 Professional manager or receptionist talking with client using telephone. 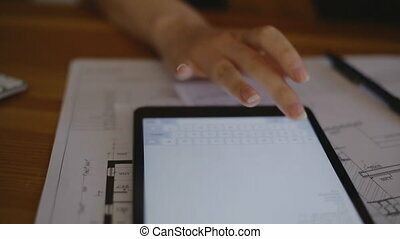 Young caucasian employee check information on computer or entering data or appoint a meeting with partners.